Ellesmere Port will move to a single shift in April. LONDON -- About 250 more jobs will be lost at PSA Group's Ellesmere Port plant in northwest England on top of around 400 cuts announced last year, reducing the plant's output to one shift. A PSA spokesman said the automaker told representatives of the Unite trade union at a meeting last week that it now needed to go further than the job losses already announced. "The company explained that although the initial voluntary separation program at its Ellesmere Port plant announced in October has been successful, it needs to initiate a further voluntary program for eligible employees of a further 250," PSA said in a statement on Monday. "The teams are conscious of the need to accelerate the recovery of plant productivity in order to meet the challenges ahead," the automaker said. 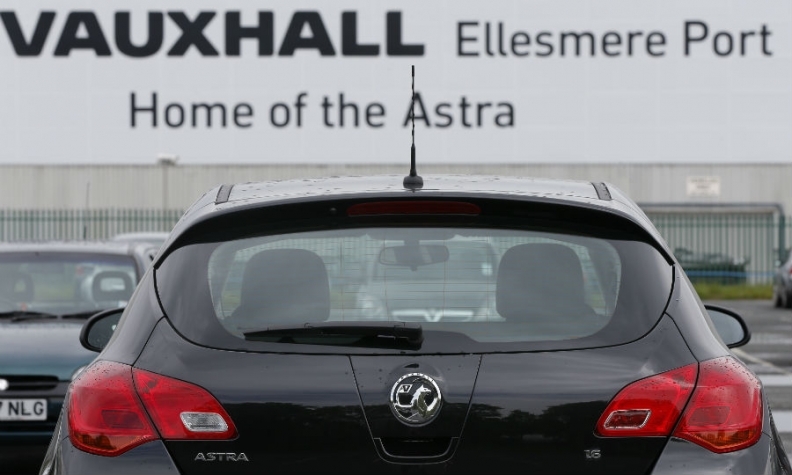 The Ellesmere Port plant, which builds Astra compact cars for Opel and Vauxhall, will move to a single production shift in April. PSA acquired Vauxhall last year when it bought General Motors' money-losing Opel and Vauxhall unit, raising fears among unions and lawmakers of job losses and possible plant closures as part of cost-cutting plans. In October, PSA said it would cut about a quarter of its workforce at the Ellesmere Port factory by the end of 2017 to improve the production facility's competitiveness. Vauxhall said the initial voluntary redundancy program announced in October had been successful but that it needs to initiate a further voluntary program for 250 more employees. "The teams are conscious of the need to accelerate the recovery of plant productivity to meet the challenges ahead," its statement said. PSA is due to decide this year on future Astra production, seen as a key test of Britain's ability to attract investment as it leaves the European Union. The Astra is also built in Gliwice, Poland. Astra sales in Europe fell 9.7 percent to 188,800 through October last year, according to market researchers JATO Dynamics. A Unite representative at Ellesmere Port, John Cooper, said falling demand for the cars built at the plant was a key problem. "We are building the wrong car," he said. "One car is no good to a car plant any more. It's got to be at least two models." The plant mainly builds Astra Sports Tourer station wagons.